On anticipation of the extraordinary parliamentary elections, the Armenian police introduced amendments to the electoral lists, Armenian media reported. Compared with the lists for 2017, the number of voters has decreased by 13,552 people. For such a little country as Armenia, decline in population able to vote in the amount of 13,552 in just one year is significant, in view of the population crisis which the country experiences. Unfavorable demographic situation in Armenia is not a surprise for anyone. The population of Armenia after 1992 (3,633,300 people) regularly declined, and was 2,972,900 people in 2018 it. 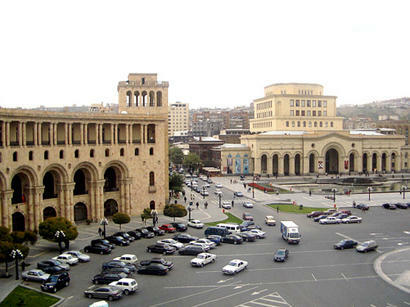 The country has a low natural population growth: according to the World Fact Book of the United States CIA, Armenia is in the 170th place in the world in terms of this indicator. According to the UN report from 2017 with demographic forecasts for the whole world and individual countries, which describes the dynamics of the Earth’s population change up to 2100, the population of Armenia will fall below 2.9 million to 2,866,150 people by 2035, and down to 2,700,184 people by 2050. By 2100, the country's population will shrink to 1,848,572. No country can exist and preserve its statehood without citizens. What part of this population will have the right to vote and will actually live in the country? A million and a half? Million? Economic problems in Armenia, which have lasted for a long time due to the country’s unconstructive position on the Karabakh conflict, lead to an outflow of the population and unwillingness of families to have children due to financial difficulties.